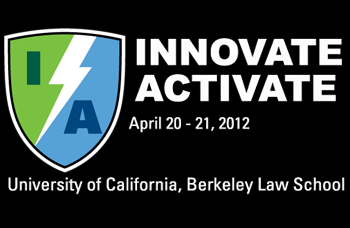 CITP is pleased to be an intellectual sponsor of Innovate / Activate 2.0. Intellectual property regimes seek to benefit society through a variety of incentives, from improving access to encouraging innovation to preserving public knowledge. However, evidence has been building to suggest that there are substantial flaws in the design and implementation of various IP regimes, leading to failures in policy and harms to the public. As a result, active communities have formed to address these shortcomings and the important issues they raise, such as the tension between free speech and efforts to expand copyright’s scope and enforcement tools; the importance of fair use and follow-on creativity; the role of alternative licensing systems such as Creative Commons or the GNU Public License; the appropriateness of patent protection for software and business methods; and the conflict between overpatenting of pharmaceuticals and broad access to medicines and diagnostic technologies. But there’s much more that can be done. Innovate / Activate is about sharing, discussing, and reexamining our approaches to improving global welfare through identifying new and existing IP-related activism efforts, developing strategies for overcoming IP obstacles, and delivering practical solutions to spur change. Beyond Berkeley Law and NYLS, a number of significant organizations who take action on IP issues have agreed to sponsor the conference. These include the American Assembly, Cambia, the Center for Democracy and Technology, the Center for Information Technology Policy at Princeton, the Center for Social Media and the Program on Information Justice and Intellectual Property at American U., the Electronic Frontier Foundation, Mozilla, NKU’s Chase Law & Informatics Institute, the Open Video Conference, Peer 2 Peer University, Public Knowledge, Students for Free Culture, and Yale’s Information Society Project. Representatives from all of these amazing organizations will be at the conference and helping us make it a major focal point for IP Activism in 2012. We are now accepting Session Proposals. c) Ideas or projects that you would like to see someone else present on. Please submit as many different ideas/projects as you’d like. We want to get a broad sense of the possibilities and see where the cutting-edge efforts are concentrated. In particular, we are interested in efforts in the education space, grassroots organizing, meme-making and publicity, making and breaking technologies for activist purposes, empirical research and evidence gathering, and legal/policy interventions. But don’t let this limit you; we’re open to all types of sessions! Note that for capacity and planning purposes (especially for food), we are asking everyone to pay something for registration. However, in order to be sensitive to people’s financial situations, we are allowing you to pick your own registration fee, ranging from $5-$100 with some suggestions for student, non-profit/academic, and corporate participants. However, no one will be turned away for lack of funds. If even $5 is too much, email us at info@innovateactivate.org, and we can discuss scholarships/waivers with you.